Rosemary has to be my favourite culinary herb. It is the herb that I most often go racing outside to collect when I am cooking a meal. I love it’s stong, resinous aroma. I can’t resist running my hand over the plant whenever I am passing. It evokes good times, delicious meals and fine company. I use it most often when I have guests or when my children are visiting. That’s when I make my focaccia or my osso buco or a free-range roast chicken. In all of these rosemary is integral. Recently I was doing some research for a young woman who had been diagnosed with a fatty liver, putting her work permit and residency application in jeopardy. It was then that I became fully acquainted with the depth and breadth of action of a plant we take so much for granted. Here again is another healing plant that is begging to be included in our diets and our lives. Make a herbal tea with a fresh picked sprig. For an invigorating soak pour some boiling water over a handful of rosemary leaves, strain off and add to your bathwater or for the final rinse when you wash your hair. These things are so easy to do and they empower us. They reconnect us with the earth, our mother. They help to bring us back into ourselves and they remind us what needs to be cared for and why. One of my prostrate rosemary’s growing in an old concrete tub. Common Names; Rosemary, Compass weed, Compass plant, Polar plant, Mary’s Mantle, Old man, Dew of the Sea. Description; Rosemary officinalis is an evergreen shrub, that can grow up to 6 feet high. The leaves are linear, opposite, dark green above with white undersides. Strongly aromatic when touched the leaves are approximately 1in long and revolute. The bark on the rigid branches is ash-coloured and scaly. During Spring and Summer the plant produces sky blue, sometimes paler flowers, which are labiate and abundant. Habitat; Indigenous to Southern Europe, rosemary thrives on the chalky hills overlooking the Mediterranean sea. Drought tolerant, and endlessly forgiving it will grow almost anywhere. Parts used; Flowering tops, leaves, stems. Preparations; Tea/ tisane, essential oils, inhalations, tincture/extract, ointments/salves, lotions/gels, shampoos, soaps, conditioners, hair tonics, tablets/capsules and powder. Traditional & Historical uses; In Hamlet Ophelia said “there’s rosemary, that’s for remembrance”. This has been the catchword for rosemary since ancient times, hence it’s inclusion in the graves of loved ones, and placement in the tombs of the pharaohs. There are records of rosemary being used as a culinary and medicinal herb as early as 500 bc by the ancient Greeks and Romans. The Romans believed that rosemary improved the memory and Greek scholars wore a sprig in their hair to improve concentration. In Europe It was burnt in hospitals and sick rooms as a disinfectant. 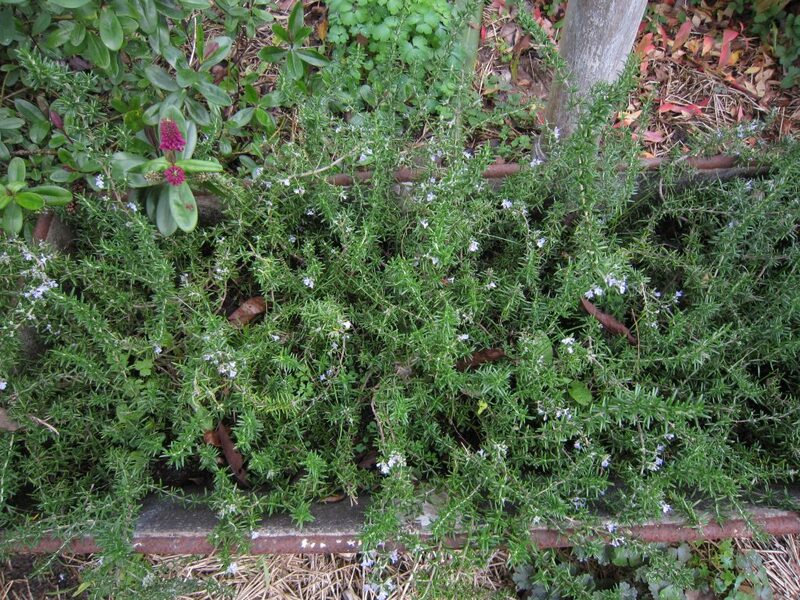 The Greeks used rosemary to treat liver complaints, poor circulation and to aid digestion. Hippocrates, Galen and Dioscorides all prescribed rosemary for liver disorders. Therapeutic Actions; Aromatic, tonic, anti-septic, antimicrobial, anti-oxidant (Ho C T et al., 1994) anti-inflammatory with a high free radical scavenging ability, analgesic, anti-viral, anti-fungal, astringent, stimulant, stimulates peripheral blood circulation, nervine, carminative, antispasmodic, diaphoretic, anticarcinogenic read more here (Singletary K et al., 1996), oestrogen blocker (Zhu B T et al., 1998), abortifacient, emmenagogue. Constituents;Tannins, flavonoids, caffeic acid; rosmarinic acid. Volatile oils, monoterpenes, diterpenes; carnosol, picrosalvin, rosmariquinone. Triterpenes, vitamin E (alpha tocopherol) minerals; calcium, iron, manganese. There are many more. Current Herbal uses; Externally; in massage oils and liniments for the relief of muscular, neuralgic and arthritic pains, circulatory disorders, and traumatic injuries. For viral sores such as herpes eruptions. Fungus skin complaints. Acne sores. To stimulate hair growth, to treat dandruff and as a conditioning rinse for hair. Aromatherapy oils used for mental fatigue and nervous exhaustion, bronchitis, headaches, improving circulation etc. Internally; Used to stimulate the appetite, aid digestion and relieve flatulence. For poor circulation of the stomach. Stimulates bile secretion, and liver activity read more here . A gargle to treat mouth ulcers, gingivitis and halitosis. To treat migraine, hypertensive and vasoconstrictive headaches. Nervous tension and circulatory weakness. Strengthens the capillaries and the vascular nerves. A general tonic in the aged. Contra-indications; Rosemary oil is for external use only. Not for use during pregnancy because of it’s abortion producing capability. Food uses; Rosemary has been used as a culinary herb for centuries. It has a strong and distinctive flavour that harmonises with all meats and poultry, whether grilling, roasting, baking or stewing. Roast veges are given an extra zing with a few stems of rosemary nestled in amongst them. You can’t go past a wee bunch of fresh parsley, sage, rosemary and thyme placed inside a chicken when roasting. My favorite focaccio bread has fresh rosemary leaves liberally sprinkled over, and lots of olive oil and good salt. My best pumpkin soup is half a pumpkin cut into peeled chunks then roasted in a pan with olive oil, salt, pepper and stems of fresh rosemary. When the pumpkin is cooked, put it into a pot, mash it up and add coconut cream. Delish and so simple.